Daryl Janmaat joins Watford, Spurs eye Hakan Calhanoglu, Phil Jones set to stay at Manchester United, West Ham agree Edimilson Fernandes deal. Daryl Janmaat joins Watford, Spurs eye Hakan Calhanoglu, Phil Jones set to stay at Manchester United, West Ham agree Edimilson Fernandes deal, Bastian Schweinsteiger wants Man United stay and much more in today’s transfer news. SkySports have revealed that Watford have completed the signing of Daryl Janmaat from Newcastle United. Tottenham Hotspur are planning to sign Bayer Leverkusen star Hakan Calhanoglu for the summer deal. The 22-year-old Turkish attacker has been linked with several sides. Versatile defender Phil Jones is likely to stay at Manchester United, according to London Evening Standard. Arsenal are reportedly keeping tabs on the Englishman for the past few weeks. West Ham United have agreed a deal to sign FC Sion attacker Edimilson Fernandes, according to SkySports. Manager Slaven Bilic is keen bolster his side before the transfer window closes next week. 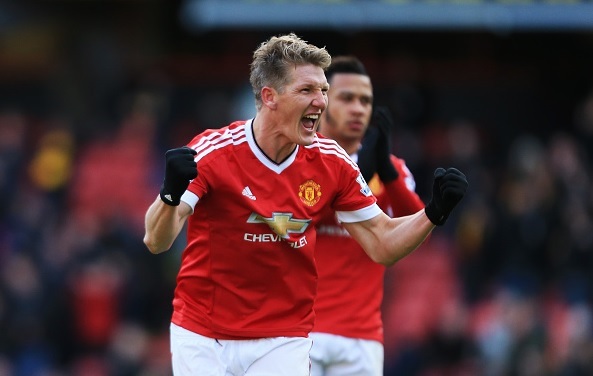 Bastian Schweinsteiger has revealed his desire to stay at Manchester United despite of linking with several clubs. The German wants to play under new manager Jose Mourinho.